A cache of Kafka-related material has recently been in the news, making this an excellent time to take a closer look at the long-standing controversy over the destruction of his final papers. Dora Diamant, Kafka’s last mistress stands at the heart of the matter. Kathi Diamant’s 2003 biography of the woman who tended Kafka during his last year is at its best when documenting the difficult peregrinations of Dora Diamant (no known relation to the author) as she escaped first from her original fate as daughter, wife, and mother in a conservative Polish village, later from Nazi terror, and finally from Communist Russia. The most poignant moments in the book occur when K. Diamant the author, allows Diamant the subject to speak for herself. Many have wondered whether Franz Kafka foreshadowed, anticipated, or prophesied the Holocaust. Historian Piers Brendan aptly titled his 2007 examination of the era between the wars “The Dark Valley.” From 1917 until well after World War II, Germany, Eastern Europe, and Russia found each chasm darker and more appalling than the last. From the unspeakable miseries of WWI battlefields, to the repetitive burning of villages by Red and White Russian troops, to mercenaries dueling in the streets of Berlin, to the torture enclaves of the Okhrana and Cheka, extremes of suffering were common. Unemployment, homelessness, hunger, disease and displacement were the norm for millions—all this was before Hitler came to power. The extremes of suffering occurring during Kafka’s lifetime are today often forgotten, obscured by later events, but they are more than enough to explain the violence and distress reflected in his writing. Franz Kafka and Dora Diamant, despite the twenty-year difference in their ages, were born into an especially violent age among many violent ages. To continue the geographical analogy, no valley can exist without a corresponding peak, and the same years brought forth blinding flashes of artistic light. This is the world that shaped both Kafka and Diamant, but it is only briefly mentioned in this biography. To young Dora Diamant, working in a summer camp for Jewish children on the Baltic coast, forty-year-old Franz Kafka appeared not as a haunted, neurotic invalid but as a graceful, natural, and beautiful young man with broad shoulders, erect posture and a compelling gaze. The details of Dora’s own life are also of interest, but the reader understands from the first pages that this woman’s story would not now be the subject of a book had she not been the companion of Kafka’s last two years of life. Their time together in the shady suburbs of Berlin, was noted by all observers as a period of contentment and productivity for Kafka. Although his tuberculosis infection grew more severe and money was scarce, visitors found Kafka relatively happy and serene, appreciative of his companion’s efforts on his behalf, and secure in her unflagging care and admiration. Author K. Diamant had an opportunity here to examine the various possibilities of what actually occurred at this juncture, instead choosing to merely quote Dora Diamant’s own assessment — that she accepted his stubborn request because of the evident relief it brought him, as if the burning of his past, unsatisfactory work would ensure the opportunity to write more and better work in the future. Both Diamant and Kafka were desperate during those months, at the point, known only too well to those tending the very ill, where possibility and inevitability are indistinguishable. In the midst of such intimate extremity, hindsight becomes inextricably mixed with an awful foresight that flickers in and out of certainty like one of Kafka’s own dark visions. It is ironic that this decision to burn his papers led to so much criticism, for her other decision—taken at the same time—to hold back thirty-six of his most cherished letters and an unknown number of Kafka’s blue octavo notebooks soon became even more controversial. These effects vanished in 1933 when Dora’s flat was raided by the Gestapo. They have never been found in the vast paper trail left by Hitler’s bureaucracy. Heartbroken and guilty, Diamant immediately confessed the loss to Max Brod. It is interesting to note that Brod also chose not to burn the papers entrusted to his care, despite explicit written instructions from the author, and these only narrowly escaped a similar fate. At the last minute Brod’s collection was smuggled out of Nazi-occupied Austria into Palestine. 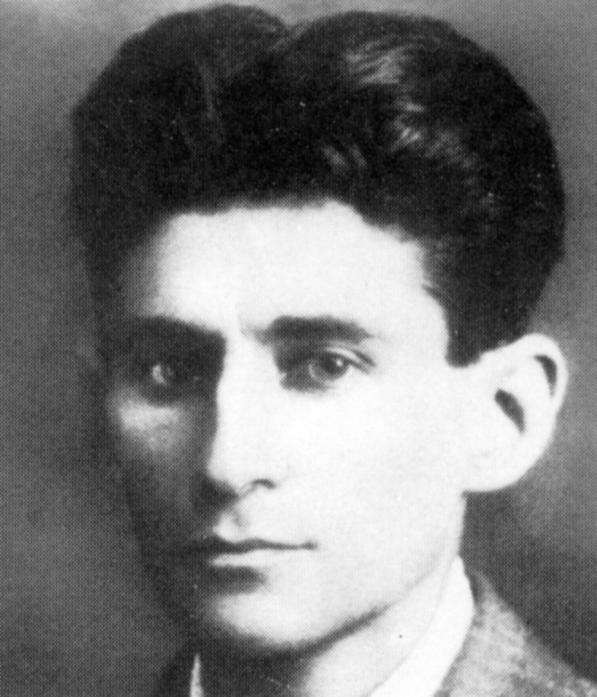 The cache of Kafka papers recently uncovered are presently in hot dispute due to the complex disposition of Brod’s own estate almost fifty years later. When Nazi book burnings began in May 1933, the work of Franz Kafka was not well enough known to be included. Kafka’s name was, however, later added to the various lists of “degenerate artists,” along withHelen Keller, Jack London, Paul Klee, Ernst Ludwig Kirschner, Marc Chagall, and Kathi Kollwitz. The infamous Entartete Kunst exhibit splashed into the headlines with a display of 650 particulary “degenerate” examples of the visual arts and became hugely popular, possibly undermining the regime’s attempts to direct the public taste back toward the “uplifting” images Hitler preferred. 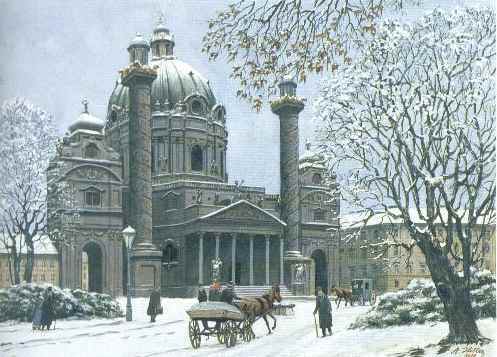 was included in the “Great German Art Exhibition” of 1940 in Munich. This exhibition, however, never gained the popularity of the “Degenerate” exhibition. Kafka is often portrayed as an effete, at once repulsed and afraid of his own sexuality. Even a cursory look at his diaries and the works of the authors he most admired such as Gustav Flaubert, Yuan Tzu-tsai and Heinrich von Kliest demonstrates distinct sexual honesty and an awareness of the role it played in his metaphoric choices. While it has been suggested that Kafka and Diamant shared quarters as chaste roommates, his contented letters, the demeanor reported by visiting friends and relatives, and his attempts to protect Diamant from the censure of his parents indicate a carnal as well as spiritual attachment. None of these questions were addressed in the K. Diamant biography, an example of the kind of omission that deprives the author and the reader of the opportunity to delve deeper and risk more–a choice Kafka himself would have deplored. Diamant’s reflections, throughout her long and complex life, returned again and again to the months of her affair with Kafka and the most compelling feature of this biography lies in her own descriptions of their life together. She muses on his quirks, his humor, and his sometimes-offensive literary honesty. One would like to have observed his last visit with Franz Werfel, who went on to work in Hollywood, writing the bestselling Song of Bernadette. Determined not to repeat an earlier meeting where he had been unable to hide abhorrence for his friend’s latest play, Kafka met Werfel behind closed doors in the Berlin apartment. Diamant was distressed when Werfel burst from the room in tears. Kafka sat stricken, once again unable to refrain from rendering an honest opinion. One can only imagine his reaction had he attended the movie premier of the Academy Award-winning Song of Bernadette. The best part of the book, and perhaps the defining moments of Diamant’s life, are found when the author directly quotes Diamant’s descriptions of Kafka and her attempts, as a very young woman, to understand the mind of one of the century’s most complex men. His sensitivity to noise, to food, to texture and touch have been interpreted as hypochondria by some historians. Autism research has informed our perspective on the broad spectrum of human response. Dora Diamant’s observations concerning Kafka’s quirks sound more like recent descriptions of hypersensitivity syndromes than a vaguely enervating Victorian neurasthenia–again none of this information comes into the commentary provided by Kathi Diamant. Equally intriguing are descriptions of his late delight in Yiddish parables and wisdom tales and in Diamant’s weekly recitation of the traditional Friday prayer. Together they played insomniac games, telling shadow-figure stories against a guttering candle or kerosene lamp when electricity became too expensive. She was also cognizant of the small macabre moments that haunted his daily life and informed his vision. Each time they strolled down to dine at a favorite vegetarian restaurant, for example, Kafka would point out to her with a bitter smile, the sign at the shop next door reading “H. Unger” — The Hunger Shop. Although no one wants to end up known primarily for their relationship to someone else, rather than for the merits of their own lives, this fate is more likely to be visited upon those of us who are female. Most people, should they be lucky enough to be immortalized by a biographer, would not wish that their biography be titled, as mine might be: Thomas Green’s Last Wife, (or worse, second-to-the-last wife). Such “coat tail” biographies do, however, give the reader a flashing glimpse into the relationships by which one human life illuminates another. Stacy Ericson is an editor and photographer who is interested in imagery both in word and in art. Her work often reflects her roots in the western states and her abiding interest in other cultures, ancient languages and religion, and visceral passions. She lives and works in Boise, Idaho and her poetry, essays, fiction and photos can be found at her website: www.theoldbouquet.com.